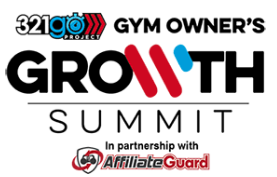 In just a few short weeks (9/26-28), we’ll be hosting our 2nd Annual Gym Owner’s Growth Summit. It will be 3 days of learning from the best of the best in the industry… sharing their expertise, recounting their hard lessons learned, and giving tactical, practical tips for growing your gym. Last year was a success beyond what we hoped for. 3,000+ gym owners came online with us during the 3 days to learn, collaborate, and grow. And it was amazing. The best part of it is that it’s free. That’s right. No charge at all to you (except your time) to sit, take notes, and learn from some of the best. We’re not going to lie, it’s a crap load of work to put this on. But, hearing things like this after last year’s Summit from gym owners all over the world gives us the energy to do it all again. We hope you’ll join us this year! It’s gonna be good.